I'm looking out over my back yard full of snow. Grass peeks through in golden clumps, and sun falls across the sopes in blue shadows against white. A scant three months ago I walked the clay-red dirt roads of Athos' parents' house on the family farm, watching sunlight stream through ficus tree leaves. We're here now in South Dakota - both of us, Athos and me, with our precious son Ethan - and our lives are irrevocably changed. Over the past ten years, our paths have forked from our first meeting in snowy northern Japan to tropical Brazil and back to snow country in rural South Dakota. Just as I adapt to South Dakota freezing temperatures and snow-muddy roads, compare prices on groceries I haven't purchased in years (cream of wheat, Cheddar cheese, cranberry mustard), an author has to adapt to two things: 1) praise and 2) criticism. Praise is easier to adapt to (of course) since we are praise-hungry creatures, and often rightfully so, after all the hours of work we and our publishing team have put into the final product of a BOOK WITH OUR NAME ON IT! It's amazing, isn't it? Sometimes I stop to think about it, and the whole idea just floors me. 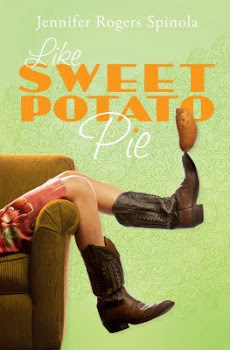 (SHAMELESS PLUG: You can buy "Like Sweet Potato Pie" and its predecessor, "Southern Fried Sushi," at Amazon.com, Christianbook.com, Barnes&Noble online, Christian and chain bookstores, and a host of other online bookstores. It's also available on Kindle, Nook, and IPad and downloadable on I-Tunes). But part of the author's journey is also facing criticism - which every book and every author - bar none - will experience. It might not be fun, but like so many things in life which seem unpalatable at first glance (spinach, anyone?) they're incredibly good for the body as well as the soul. Book reviews are at an all-time high, and more accessible than ever - meaning that anybody with a keyboard can hurl stars or darts or accolades or opinions about books into cyberspace. Sites like Goodreads and Amazon thrive on the sugar-and-spice mix of book reviews, and the idea that I - regardless of who I am - can have a voice and an opinion is heady. So while authors can either read or not read their reviews, they're out there. And believe me, people are reading. And writing. And posting. What does this mean? First of all, if you're an author, it means your work is visible - and vulnerable. That's simply the nature of publishing work. We already know that not everybody's going to like our book. That's not the question. It's the bigger question of WHY - and whether or not the reviewer has a valid point that could help us to actually write a better book in the future. It also means that at some point in time the "big one" is going to come - and you'll be faced with how to respond. So which comments or criticisms are worth considering? Forget about hateful or nasty reviews that attack the author - those simply don't warrant your time or thought. Flush those down the toilet. You can also more or less disconsider "this book wasn't what I expected it to be" or "I just didn't like the book" reviews, since 1) you can't mind read a stranger's expectation before he or she opened the book, and 2) personal likes and tastes are entirely subjective. I've seen the same best-selling book receive both a one-star and a five-star rating at the same time, so what gives? Personal tastes and preferences, and for the same reason we have a million brands of toothpaste and breakfast cereal, we have just as many books. However, there are a few reviews out there - inaccurate or unfair as they may be - that can actually challenge and motivate you to do better work in the future. Here's an example. I found a review by Susan Ellingburg on Crosswalk.com quite by accident. (You can click here to read the whole thing). It is, in her own words, "harsh." Here's here title: "Southern Fried Sushi Sounded Good." So you can guess that this isn't going to be one of my more peppy and enthusastic reviews. You can do one of three things when you read a review like this: 1) ignore it and desperately wish to cover it up; 2) get upset and kick the dog (I don't have a dog, by the way. YET.) or 3) see if there's any grain of truth you can take away that will make you a better writer - and in fact, a better person. Susan's review isn't absolute truth, it's subjective like everyone else's. But it's a good starting point for a lesson in what can help the bitter medicine go down a bit easier. So here, in all my "Sushi" glory, I'm going to shamelessly break down some of her main criticisms for you so you can see my own thought processes as I go through her review. It's kind of scary, like those dreams of wearing a bath robe in public (gasp) but... why not? If readers can see me trumpet my good stuff, let them also see me display my not-so-good. 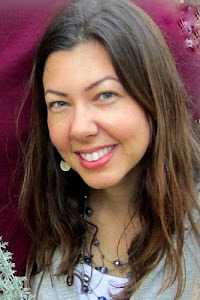 To start off, Susan writes that my characters were not "authentic" and "stereotypes." I'd have to say that I disagree with the first assessment right off the bat. One of the most widespread praises I've received is about the authenticity of my characters. However, with the second, she's a little more on track. It wasn't until my third book manuscript revision that I realize good authors shouldn't stereotype characters: i.e., make them so common and overdone that they fail to raise interest. It was my crit partners who helped me realize that rednecks who read Shakespeare and hippies who collect guns are far more interesting - quirky - unusual - fresh - unexpected - that the traditional, ho-hum redneck who listens to Garth Brooks and the hemp-spinning hippie. Run with it! Surprise us. TAKEAWAY POINT: Don't let your characters die a stale death. Susan writes more: "Here’s a prime example: the Virginia characters are poor but honest, hopelessly unfashionable, dumb but warmhearted rednecks . 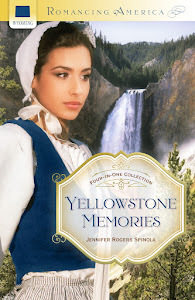 . . a Southern girl myself, I found their portrayal insulting." Um... to this I'd have to beg to differ. STRONGLY. Just exactly which Virginia characters is she referring to (since all the characters outside of Japan are located in Virginia)? If she's referring to Tim and Becky, and maybe Faye and Stella, yes, they meet the "warmhearted" and "redneck" bill. However, I thought she gave a grossly exaggerated assessment here. The only character ever billed as "unfashionable" was Becky. In fact, Shiloh goes to Jamie (a non-redneck Staunton native, ahem) for hair salon advice. Never once did I imply any of them were "dumb" at any point - this is simply a characterization perhaps Susan has imposed herself. Rednecks are not inherently "dumb," and I've never portrayed them as such. In fact, the one who appears "dumb" throughout the story is Shiloh herself as she tries to survive in a world more foreign to her as Japan - and where the so-called "rednecks" have the upper hand in life, love, business, money, and family relationships. The "Virginia characters" Susan is apparently trying to refer to are only a few in a much larger circle that she's either forgotten or neglected intentionally to prove a point. Young and modern Puerto-Rican-American Jamie Rivera, African-American model Trinity, Blake the bleeding-hearted server, Trixie the mod hair stylist with "sawed-off auburn hair," Adam, the leading man, and his Army hero brother Rick - all Staunton natives. "Redneck"? Uh... I don't think so. The muggers in the woods at Winchester (all Virginia natives, mind you). "Warm-hearted"? Not a chance. Jerry the successful restaurant owner - "poor"? Faye and the Donaldsons and Stella who own their own homes, work as accountant and bookkeepers, and give Shiloh financial help and advice - "poor"? This was just absurd. I couldn't even figure out where the "poor" thing came from. In fact, in an ironic twist, Shiloh the up-and-coming Yankee journalist is the ONLY ONE IN THE ENTIRE BOOK who has financial problems at all - and is the only character who could possibly be construed as "poor." So... sorry, Susan. This didn't stick. At all. Okay. So now on to real issues (which yes, there are plenty of). "Not only that, the author attempts to create their accents through transliteration, which is annoying to read. 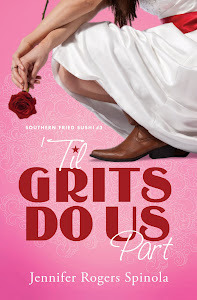 Not because Southerners don’t sound like that (several of this reviewer’s relatives are living proof that they do), but because the weird spellings get in the way and are “for shore” a constant distraction from what the characters are actually trying to say." In the future, I'll be far more careful to make my text READABLE rather than accurate - even if I have to sacrifice a bit of accuracy. No, I wouldn't make a redneck say, "Would you kindly pass me a cup of tea, please?" but I might make him say, "Gimme that cup of tea, will ya?" Even though no true redneck would ever say "of," altering it too much messes up the text even visually so that it's hard to see and understand what's being said. TAKEAWAY POINT: Don't alter speech so that it sacrifices readability. Lesson learned! She's right. I simply have no explanation for this. Another reader criticized the scene where Shiloh makes chicken-and-dumplings with Faye, saying that chicken-and-dumplings weren't Southern at all, and that she shouldn't have been afraid of chicken. Ham hocks, maybe. Gold star. You got me. TAKEAWAY POINT: Make your character's limitations and flaws believable and realistic. You can't catch everything, but you can be wiser next time and try to think of how your reader is going to perceive your work - and whether your characters flaws are really believable. I was trying to show Shiloh's bumbling country ways, and how she who was once the smart, intelligent one is suddenly on the lower end of the totem pole and seems "dumb" (to use Susan's word) in comparison to those around her whom her own mainstream urban society, ironically, looks down on. But the chicken thing, and maybe even the sheep thing? Yeah. More from Susan: "The author also makes the classic rookie mistake of inserting a page-long sermon (do any readers not skip over those?) and later misses no opportunity to preach to her character and, by extension, to the reader. Without all the preachiness, Shiloh’s walk through loss, grief, and self-discovery would have been so much more inviting to go along." I have to agree that she's totally right about the preachiness. (And I AM a rookie - guilty as charged). When I read back over the galley for "Sushi" after working with my crit group for many more months, I cringed. It just seemed so... preachy. I even tried to eliminate some of the preaching (literally, from the scene where there's a sermon on the car radio) in the galley, but it was too late for that, since the galley is really only for eliminating typos and very minor (limited) changes. If I wrote the book now, I'd probably do things differently. But that's the way it is, preserved on paper and print forever. In my defense, at that point I'd 1) never been to a writer's conference or had any kind of Christian fiction writing training whatsoever and 2) was writing purely for my own personal enjoyment without the foggiest idea I'd ever be published. But still. It's eachy. You have a captive audience, but you don't want them squirming and begging to be set free. TAKEAWAY POINT: Don't be preachy. Avoid using sermon portions. Amen. In fact, I have a couple of verses from the Bible to prove my point... just kidding! TAKEAWAY POINT: Watch out for rookie blunders - especially if you're a rookie! There are lots of those. When I started critting with GOOD writers, they all knew this amazing stuff I didn't: like how to use the element of surprise, that a standard chapter is about 3,000 words long (it is), and that you should avoid the verb "to be." It's a flat and lifeless verb. (And again, it really is!) You can avoid some of these by reading good writing books. There are gobs of them out there, and they've all done me immense good. To finish: Susan's review includes a few kudos about the writing style and some comments about her disappointment with the book - that it wasn't "as good as it could be." I have to agree with her. It wasn't - but it's what I had, and I'm honored that it's even come as far as it has. If you'd told me I'd be published, back in 2009 when I was typing away at my keyboard unaware that Roger had become an author or that Barbour Books even existed, I would have called you Looney Tunes. I simply had no idea. I wrote because, as my good friend and mentor Dr. Gayle Price once told me, "a writer simply can't NOT write." And so my entire road to publication, my friends, is God's grace on the undeserving. Undeserving and, as Susan pointed out in her "harsh" (yes, rather, I'd have to agree) review, guilty as charged. Combine these "infractions" with the other criticisms I've received, and I've found a few more takeaway points. Each and every one of those, while sometimes hard to gulp down, help me learn and grow - just like my husband, son, and I are doing daily in South Dakota. There's no sense in fearing rejection or criticism. I don't. The book is done; what's written and published can't be changed. And while there are always growth points for writers, at the end of the day, my book was always for HIM. For the Lord. To honor him, to write as I so enjoy doing, and bring in income so I can stay home with my beautiful little boy. My beautiful little boy who will not always be little. 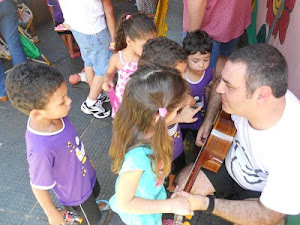 And to create a home and environment of learning, growing, adventure, and creativity for myself and my family. It's all His. And while I want my writing to be the best it can be, and my work to reflect His amazing creativity, it will never be perfect. There are no perfect books. Perfect people. Perfect locations. Although... South Dakota is pretty close, in my opinion. And that's what I want to aim for in my writing - as close to perfection as I can be - while realizing that we're still this side of heaven. Which means "that's just how my book is" won't cut it. We as authors need to constantly do our best to improve at our craft. Not so we can avoid bad reviews (that's impossible; they'll always come) but so that we can really honor God with our best work and make the most of our business. Since publishing is, well, a business. To be blunt. * Join a local writer's group. I'm new to South Dakota, but I'm going to see if there's a writer's group available and join. Don't be put off if the other members aren't Christians or don't write Christian books. So long as you're not having to read through really gross stuff, you can definitely learn from them. They're writers. * Share your material, ideas, and questions with other authors. Author Roger Bruner (also with Barbour Books) was my first writing mentor who read my work and believed it had potential. He guided me on every single aspect, from writing a proposal to how often to call my editor when I was in agony about whether they'd give me a contract or not. Roger, you are wonderful! Could you please clone yourself? * Share your material, ideas, and questions with other writers. Notice I didn't say "authors" - and I don't only include published authors in my "people who write" category here on the blog. I've learned a tremendous amount from writers who are not yet published - but I'm certain will be one day. * Share your material, ideas, and questions with other READERS. They don't even have to be writers. Roger Bruner's wife, Kathleen, was one of my biggest encouragements when I first shared my "Sushi" manuscript. She doesn't care much for writing herself, but she knows what works in fiction because she reads a lot - and was willing to share with me and give wonderful suggestions. * Get hooked up with a critique group faster than you can say "butter on grits." I don't have enough space here to tell how much my crit partners (Jenn, Christy, Shelly, Karen) have helped me. I'll just get down on my knees and kiss their high-heeled shoes instead. * READ GOOD FICTION. Write down what you like and don't like and what sentences or turns of words impress you. Pay attention to how good authors introduce surprise or character flaws or avoid cliche. * Enter writing contests - even if you lose. * Join a professional writer's organization like ACFW (American Christian Fiction Writers), and then go to their incredible once-a-year writer's conference. * Go to a writer's conference. * Repeat the above steps, especially the last two (since I met Jenn, my first crit partner, at an ACFW writer's conference in Indianapolis - and I'm forever indebted. Spoiler: I was already contracted when I went to my first conference, so I sort of did things backward). The bad news: even if you do all of these, you'll still get rejections and criticism. Work anyway. Improve anyway. Learn anyway. Grow anyway. Because you might come away with an unexpected treat like this one, from my sweet friend Karen: "Your first book touched me in so many ways that I can't explain on Facebook. It was an oasis in a desert for me. I've re-read it so many times I practically have it memorized and you got Staunton so well!" 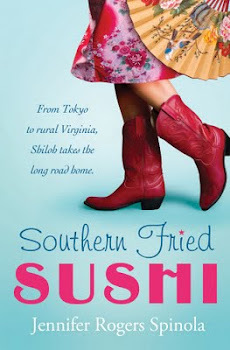 Or this one, from Amazon.com: "I loved reading Southern Fried Sushi so much that I stayed up most of the night to finish it! The story of Shiloh Jacobs drew me in completely. Her journey to faith with all of its twists and turns kept me engrossed in the story for hours at a time. The romantic connection between Adam and Shiloh left me dying to know what will happen next. I can't ever remember being so anxious to read a sequel. I would highly recommend this book as it Is one of the best Christian fiction books I have ever read!" Can you believe it? That someone would write those words about MY book? Flawed as it is? A miracle. Like the light dusting of snow that still hangs in the shadows outside our beautiful, cozy, wonderful trailer - as opposed to the ninety degree temps and discarded trash outside our expensive Brasilia flat. The grocery store full of cheap American food that I can whip up in minutes (rather than cooking beans for two hours). The crisp air and blue mountains I thought I'd never see again, and the wonder of enjoying it all with my beautifully Brazilian husband and son. Our transition to greater glory with Christ. And for the moment, it feels pretty sweet. Disclaimer: I actually do like spinach very much. My apologies to spinach if I've portrayed you as negative in any way. Please forgive me?